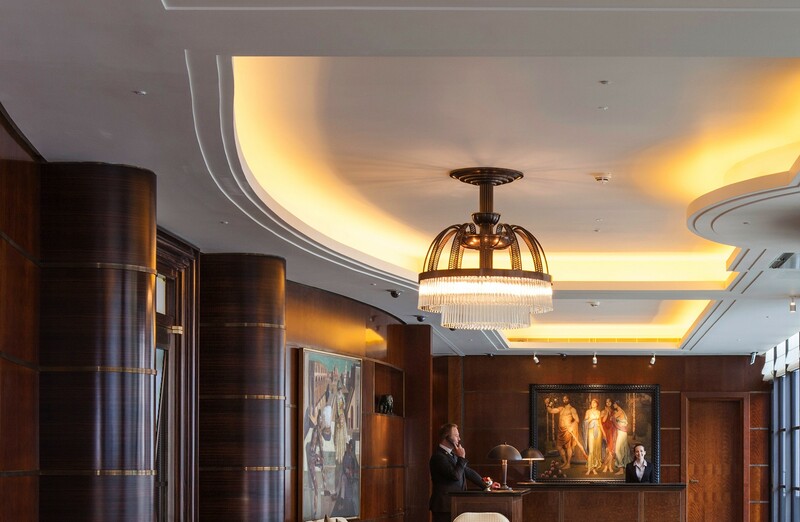 Dernier & Hamlyn collaborated with Corbin & King to manufacture beautiful art deco chandeliers for The Beaumont Hotel, Jeremy King and Chris Corbin’s first hotel. A statement, grand fitting has been produced for the hotel’s entrance. Cast in brass and finished in antique bonze, it is dressed with custom made glass rods. A smaller version has also been made at our London factory and installed in the main lobby. Throughout the main public areas, including lobbies and stairwells, we have also produced feature pendants which emulate typical art deco styling featuring chevrons and handmade cast glass panels.